A couple of months ago Pro Tool Reviews set out to find the most innovative tools and give the winners the recognition they deserve. This was not something that was easy, with over 40 manufacturers participating and 150 categories to judge. But now, the wait is over and the results are in. 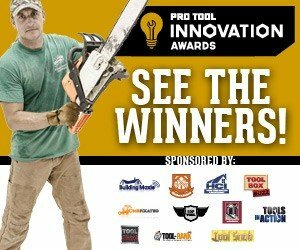 The Pro Tool Innovation Awards are very similar to our own Tool-Rank Picks, where we give extra recognition to the tools that offer up something special. So it is probably not too surprising to find out that a few tools make it onto both of our lists, like the Bosch DareDevil bits, the Bosch Axial-Glide Miter Saw, or the DeWALT ToughSystem Boxes. To see more Tool-Rank Picks see our full list here. To see more of the Pro Tool Innovation Award Winners, visit Pro Tool Reviews.